It is not 100 percent true that the book is always better than the movie but, more often than not, that is the case. 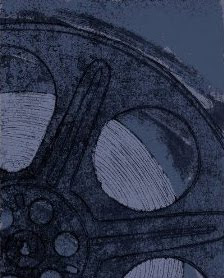 If you are a movie lover who also loves an e-reader, you will be happy to know that there is a wonderful selection of movie tie-in books available for your Kindle. Of course, if you are not a Kindle book reader, these movie tie-in books are all available in traditional form! 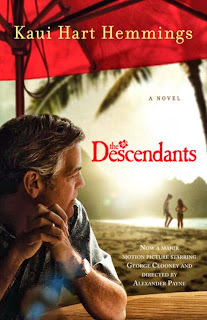 The Descendents by Kaui Hart Hemmings - The book was Hemmings' debut novel and the screenplay went on to become a movie that was nominated for several Academy Awards and won for Best Adapted Screenplay. Game of Thrones by George R.R. Martin - If you have been meaning to read this series, the ebook will sure lighten the load! The hugely popular television series has won plenty of awards, including two Emmys and I know that people are totally enthralled by the books. The Silver Linings Playbook by Matthew Quick - The movie version made off with a number of Oscars last year at the Academy Awards, the book could be a great read. Once again, the Amazon customer reviews of the book make it look like an interesting choice. Captain Phillips was based on the true story A Captain's Duty: Somali Pirates, Navy SEALS and Dangerous Days at Sea by Richard Phillips. The movie version is too new to have won any awards but, judging by the reception of the recently released film, it will likely be in the running for numerous Oscars. If you are like some of the members of my family, you will want to read this book before you see the movie. Life of Pi by Yann Martel - The book Life of Pi was rejected by five London publishing houses before it was eventually published by a Canadian publishing house and went on to sell more than ten million copies. The movie version won its own acclaim that included four Academy awards. I cannot personally vouch for any of these books. However, I will be adding some of them to my reading list. How about you? Have I found any movie tie-in books that intrigue you? Have you read any of these books or do you have any additional movie-themed book recommendations? If you are looking for a great movie-based gift idea, why not consider a movie and book themed gift? That is a top-rated gift idea in my book (pun not intended) and one that I have employed successfully in the past for the book-reading movie lovers in my family! Click here to check them out before the offer is gone. Read IMDb's 2013/2014 Oscar Contender List.